New research from The University of Southern Denmark and the Danish Cancer Society has fond a clear connection between skin cancer and antihypertensive medicine containing hydrochlorothiazide. The study was based on about 80,000 Danish people with skin cancer who used common hypertension medicines. The researchers found that those who used hydrochlorothiazide medicine had a seven times greater risk of developing a type of skin cancer called squamous cell carcinoma. Luckily, squamous cell carcinoma can be treated and has a very low mortality rate. 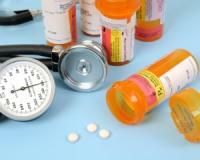 Surprisingly, they found no link between other hypertension medicines and skin cancer risk. “We knew that hydrochlorothiazide made the skin more vulnerable to damage from the sun’s UV rays, but what’s new and also surprising is that long-term use of this blood pressure medicine leads to such a significant increase in the risk of skin cancer,” said Anton Pottegård, PhD, associate professor from the University of Southern Denmark, who was the initiator of the study. Did you know, cannabis can be GOOD for your health? No. I’m not suggesting you start smoking dagga! I want to introduce you to the powerful healing properties of a very special oil, which although it does come from the cannabis plant, is completely legal and will NOT make you high. Instead, research shows this special oil can help treat everything from cancer, to seizures, to heart conditions, to anxiety and various skin conditions. Curious? Click here to find out about nature’s best-kept secret for yourself. “However, both lip and skin cancer are typically treated with an operation that is associated with a certain risk of impairment as well as a small, but real, risk that skin cancer of the squamous cell type spreads,” added Pottegård. Over 10 million people in the United States use hydrochlorothiazide medicine annually – and the numbers are similar for other countries. This means the side effects of this medicine can affect many people. The researchers calculated that about 10% of all Danish cases of squamous cell carcinoma may be caused by hydrochlorothiazide medicine! Pottegård concluded that you shouldn’t interrupt your hypertension treatment plan without consulting your doctor first. However, if you use hydrochlorothiazide medicine at present, it may be a good idea to talk to your doctor to see if it’s possible to choose a different medicine to reduce your risk of skin cancer. Your coffee-drinking habit may stave off this deadly form of skin cancer! Cut your skin cancer risk by 50% by eating tomatoes daily!